By itself, the X-Men franchise has launched an extremely lucrative and reliable superhero brand, composed of three different timelines that spawned from the previous sequels, prequels, and solo bouts. That said, it doesn't take a telepathic mutant to understand why Twentieth Century Fox wants to expand its franchise even further with future films like Deadpool, Gambit, and The New Mutants - as well as merge it with the new, upcoming Fantastic Four continuity to create its own shared universe. But before any crossovers - or even potential franchise reboots - hit the big screen, Fox will bring its First Class-launched prequel trilogy to a close with next year's X-Men: Apocalypse. As with most superhero flicks these days the Interweb has been abound with tease after tease courtesy of social media. Bryan Singer, himself, has been rather generous to fans by sharing various set images, which have teased Caliban's inclusion, the presence of animal-controlling mutants, and James McAvoy's shaved head. And today, he brings exciting news pertaining to the breakout star of X-Men: Days of Future Past. At first glance, the actors in the photo simply appear to be strung up in wires in front of a green screen; but coupled with Singer's mention of the lightning fast hero, the scene takes on a whole different meaning, in which the actors could instead be frozen in time - or at least, moving so slowly they look frozen. If that is indeed the case, it would seem Singer is attempting to once again spotlight Quicksilver's power and catch lightning in a bottle twice. Even before the theatrical release of DOFP, critical consensus pegged Evan Peters' Quicksilver and his split-second, slow motion rescue of Magneto, Professor Xavier, and Wolverine as the highlight of the film. Slow motion was certainly nothing new or impressive when the movie debuted - if anything, it had become a cliche - yet the breathtaking prison break scene utilized it in a fun and exciting way that showcased the speedster's ability and its hilarious advantages, while veering from the melodrama usually attached to said special effect. Ultimately, the moment succeeded because it was unexpected and refreshing. With Singer teasing another scene like it, there's potential for the original magic and 'epicness' to dissipate - if only slightly. 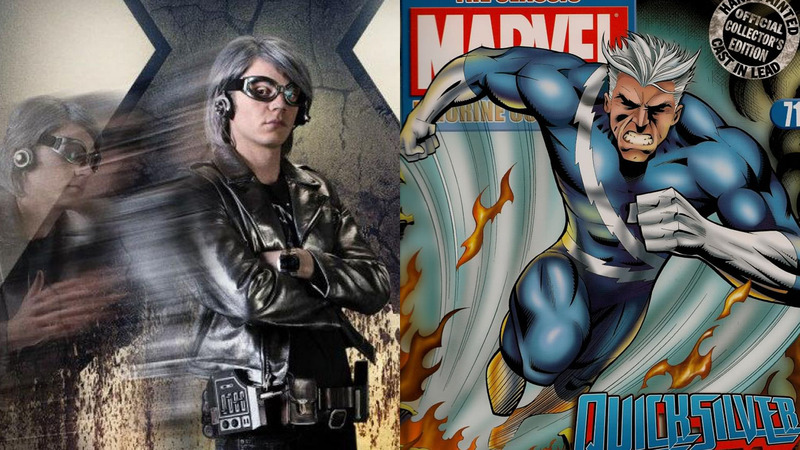 Fortunately, the desire to see more of Quicksilver this time around (and potentially in his own spin-off) heavily outweighs any possibility of overusing the character, which would prove difficult considering the packed roster of mutants set to appear. Let's just hope the film can find time to explore more of his backstory - specifically his familial ties to Magneto - while the heroes are busy contenting with the titular villain. Are you excited for another slow motion scene that highlight's Quicksilver's superspeed? Sound off in the comments below.